Howdy folks! Welcome in to the post-Dover blog! This week I will be discussing one of the hot-topic issues that has plagued the NASCAR garage throughout the 2018 season, uncontrolled tires. NASCAR has continued to show inconsistencies in officiating, and Sunday's AAA 400 didn't help their case. Like last week, you will see some fan opinions on this topic, and later I'll give my take. In addition, I will be thinking out loud about how we can fix this issue moving forward. First, let's discuss the issue itself. NASCAR has mandated rules regarding tire control for years. With the goal of safety, NASCAR mandates teams control their 24-pound balls of rubber on pit-road. The rule has warm-hearted roots, creating a safer environment for crews on pit-road, but the modern officiating has created judgement call situations during races. This of course means, some calls will be right & some will be wrong. Before we get too far, let me clear the air... I have no issues with judgment calls in sports, as long as they're consistent. Whether it's football, basketball, baseball, or racing, judgment calls will always exist, but for the sake of consistency, let's do everything in our power to get these calls right. First, let's talk inconsistency. Above you can see the controversy that took place at Texas Motor Speedway earlier this season. On the left, Ryan Blaney was called for an uncontrolled tire. This call was correct, as the tire circled was clearly out of arms length of any crew member. On the right, we see Harvick, who's tire is arguably further away from a crew member... the problem? Blaney was called for a penalty, Harvick was not. NASCAR later stated they should have called a penalty on the No.4 team, but no further action was taken. If mistakes are going to be made, don't let them be this obvious. Similar calls have come throughout the season. A similar penalty would later be called on William Byron and his No.24 crew. In the 24 teams case, the tire barely moved inside the box which resulted in NASCAR calling yet another questionable tire penalty. Overall, it seems that fans don't like the rule as it stands. People understand judgment calls can go either way, but if you're going to roll with the current plan, you have to have a clear cut policy to make calls on. The rule is doing more than it should. The purpose was to keep tires from rolling into the way of other cars pitting, resulting in tires potentially hitting cars & other crew members. While the purpose is being met, it's also being taken to a completely unnecessary level. At this point, teams are being penalized for tires that by no circumstance are a danger on pit-road. The 'arms length' rule was supposed to provide some sort of freedom for teams to choreograph their pit-stops, but has slowly gotten out of control. Tires that aren't clearly out of reach, or affecting other teams SHOULDN'T be ruled uncontrolled. The rule is becoming a joke. It seems like NASCAR is saying "let's see how ridiculous of a penalty we can call". It's gotten to the point where tires that aren't even moving are costing teams valuable points & finishes. The Larson penalty is the perfect example of NASCAR going too far. The tire was standing still waiting for the tire carrier. The stop was choreographed that way, and at no point did the tire become any sort of obstacle. Plain & simple, it wasn't uncontrolled. NASCAR can go about changing the tire policy in one of two ways. The first & easiest way, is to revamp the policy and loosen the current rule. NASCAR needs to KISS, keep it simply stupid. If the tire leaves the box, hits another crew member, or becomes an obstacle to another car, the team should be penalized. This is how the older policies worked. Scrap the "arms length" rule, it's unnecessary and hard to call from a booth above the track. The second method uses one aspect of the first, make a clear cut policy. If the tire leaves the box at any point, it's a penalty. This could get hairy at some smaller tracks where boxes are tighter, but it allows NASCAR to make a simply yes or no call. This would actually tighten up the rule a bit, as officials & fans can see a penalty without question. To cap things off, the current policy can continue to be used if (and only if) NASCAR creates some sort of consistency. In addition to consistency, quit going overboard with penalties. There is no reason a team should receive a pass through for a tire sitting right next to the car without it rolling. Penalties should come for clear violations, not toss up calls coming from officials 100-feet in the air. I understand that these calls are difficult, but enough is enough. I love this sport too much to see non-moving tires costing people races. I'm tired of hearing about uncontrolled tires, let's address the uncontrolled rules. Well, thanks for reading folks! Let me know your thoughts on the uncontrolled tire issue. 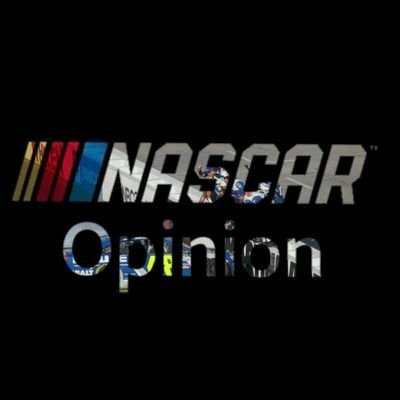 Share all opinions & solutions with me on Twitter at @nascar_opinion! Hope you enjoyed the race, and have a great week!